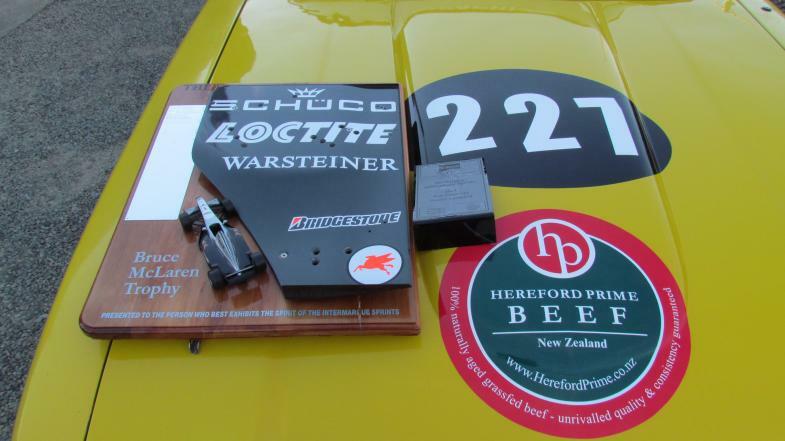 Hereford Prime Beef has laid claim to a piece of New Zealand motorsport history. Earlier this month Hereford Prime brand manager Natalie Campbell and her Hereford Prime classic race car were presented with the Bruce McLaren Trophy at The Surgery Sprints held at Manfeild Park. The trophy was presented for the 2013 round of the series. The trophy is awarded to the person who best exhibits the spirit of the sprint series. Natalie said it was a complete shock to receive the award. She said the trophy has been awarded since 2003 and there are some names of people who have contributed a huge amount to motorsport in the lower North Island. Chairman of Hereford Prime Laurie Paterson said it was a “top job” and he was delighted to know the Hereford Prime car was circulating well. The Bruce McLaren Trophy is joined by a plaque she earned for third place for her class last season at The Surgery Sprints and she was also placed 21st equal out of 109 cars in the series. Natalie has been competitively driving for about 20 years and has always run a three litre Ford Capri. A year ago Hereford Prime asked if they could join the team seeing it as a unique point of difference. 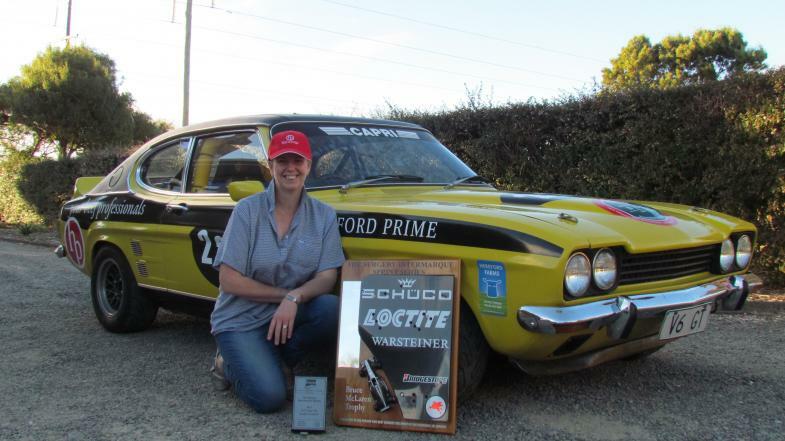 The Bruce McLaren Trophy is added to a cup she was awarded last winter for being the fastest factory powered Capri to compete in the Capri Car Club series over three meetings held at various tracks around the North Island.